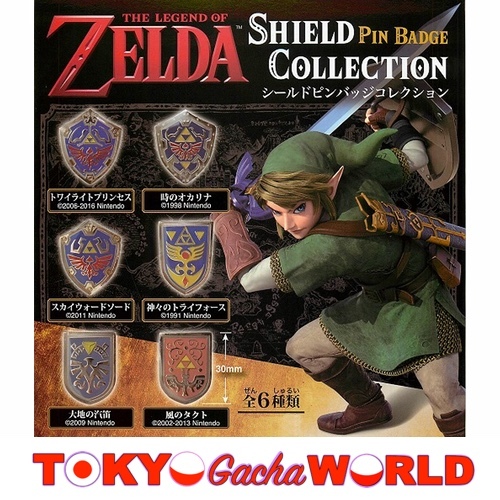 Products / The Legend of Zelda - Shield Pin Badge Collection "Complete 6 item Set"
The 6 shield from the recent Zelda games! 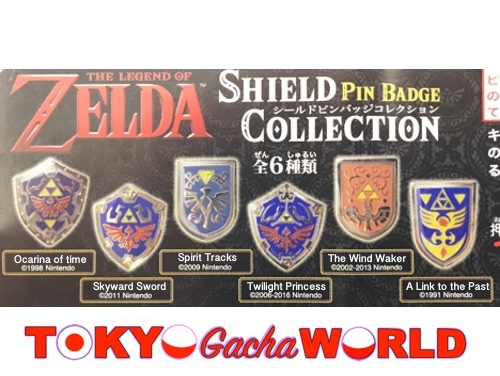 Maker: KYODO Includes: The complete full 6 item set. DISCLAIMER: *We ship from Japan. This set may be shipped without the Capsules for International shipping. **If you wish us to include the capsule please send us a request via email at request@tokyogachaworld.com ***We may runout of stock without notice due to the rarity of this item. If we can not provide this item we will redeem all payments with a notice.